C.A. Technologies' Cougar and Bobcat spray outfit is now available as a self-contained portable unit with a 2 h.p. 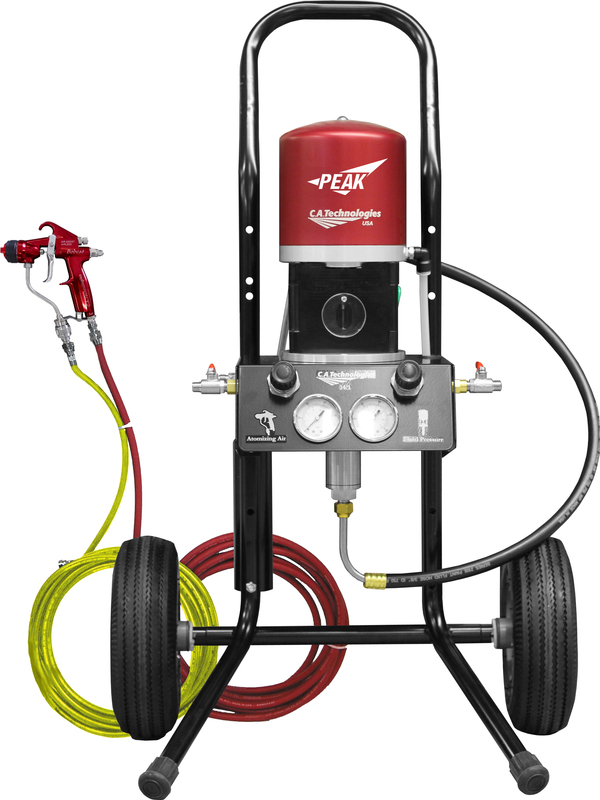 compressor, 4.6-gallon air tank and a 14:1 AAA stainless steel pump, all contained on a compact cart. The system provides 7 CFM at 40 psi of atomizing air and the company says it is effective for any job in any place.